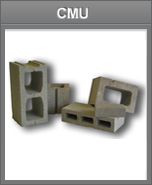 Quality Concrete Products is a regional manufacturer and retailer of concrete masonry, landscaping and design-to-order precast products. Service is our mission. 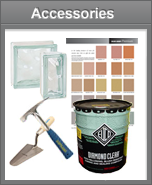 Let us help source, design or plan your project. 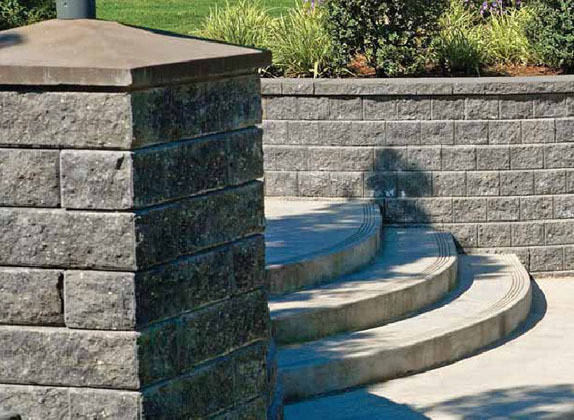 Manorstone comes in radius face with tapered sides to build beautiful retaining walls that are more environmentally friendly. 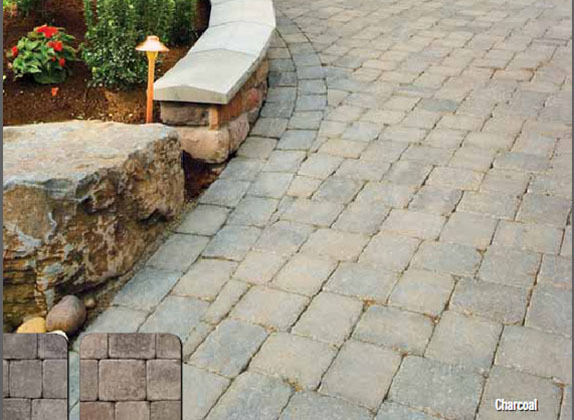 With embossed edges and natural colors, Old Dominion pavers reproduce the essence of turn- of-the-century cobblestones. 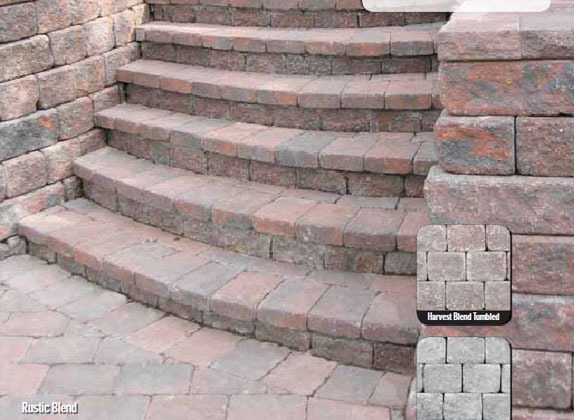 Available in three styles, allowing for multiple patterning possibilities. 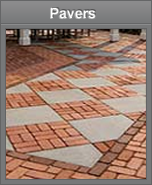 These popular pavers are tumbled and sized for the look and feel of old-fashioned cobblestone. Paleo's four sizes give you greater design flexibility. 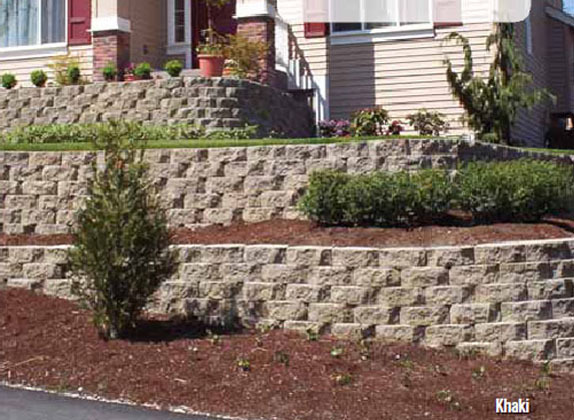 Pisa2 retaining walls have the natural appearance of quarried stone. 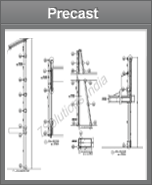 It is possible to incorporate straight walls, curved walls 90 degree corners or any combination of the three. 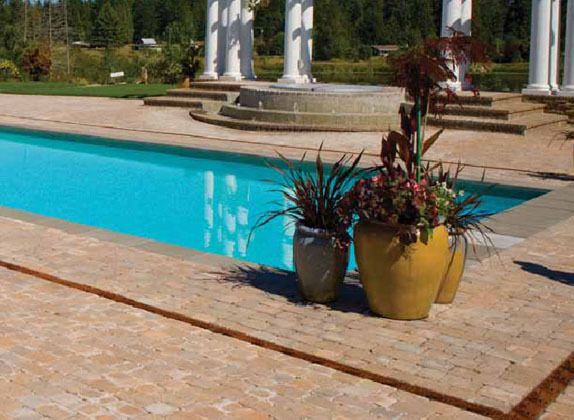 Roman Holland offers the beauty of a tumbled paver in the simple, rectangular shape of traditional Holland. 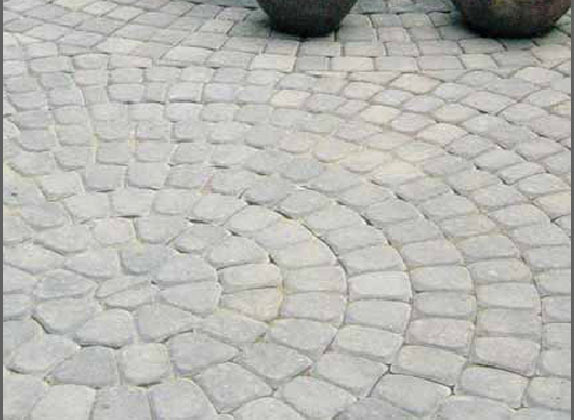 This versatile stone may be laid in a variety of eye-catching patterns for your patio, walkway or driveway. The tumbled version of Pisa2, RomanPisa blocks get their unique look from a specialized process that rounds the corners. 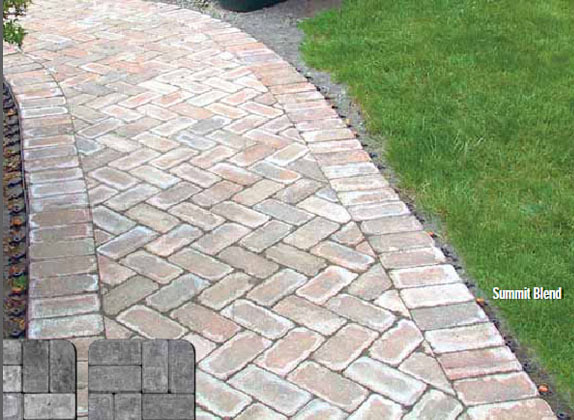 The blocks have a worn cobble appearance. Vancouver Bay slabs have a light shot blast finish for soothing colors and an elegant appearance. 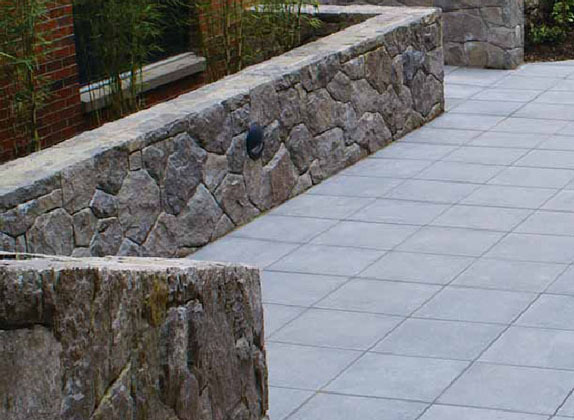 Outdoor living spaces and garden patios are ideal settings for architectural slabs.